CMJ 2010 Report Part 3 of 10. This past October, sorry, Rocktober, New York hosted its yearly CMJ (College Music Journal) Music Marathon. As the name indicates, The CMJ Music Marathon is a massive concentration of 100s of bands that descend on NYC like locusts and swarm every NYC venue over the course of a week and leaving hangovers and sleep deficiency in their wake. It is not out of the realm of possibility to see 20 bands at 10 different venues over a single CMJ marathon weekend. There are those out there that like to believe that it is a indicator of the stylistic forces that will drive major musical themes for the coming years. I have found that it is always worth the chaos and trouble it takes to really quaff deeply from the CMJ trough. This year was no exception. 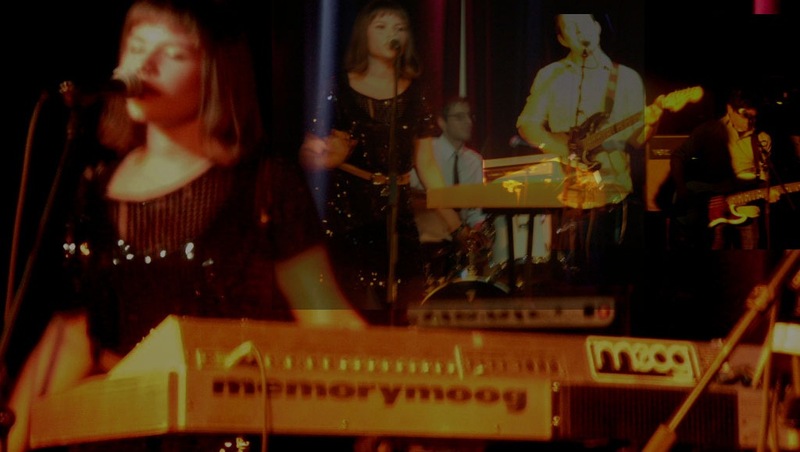 The most notable bands caught at CMJ 2010 are: Savoir Adore, Alex Winston, Octant, Candy Claws, Kisses, Titus Andronicus, Holy Ghost!, Mathew Dear, Dean and Britta, Crocodiles, The Blow, and The Pains of Being Pure at Heart. Other bands caught were: Invisible Kid, Eklin, Samuel, Buke and Gass, Gold Panda, and a few others. The most notable will be featured here on TSOI as part of a 10 part series so be sure to check back daily! Savoir Adore and Alex Winston (to be featured tomorrow) are fairly similar bands that feature lead female vocals, have synth up front, but also fill the sound out with full bands. In the case of Savoir Adore Male/Female vocals are used to excellent affect. Both bands also feature snappy disco drumming and have released absolutely bangin’ remixes of one of their singles superbly executed by French Horn Rebellion. FHR do really nice work on the vocals – particularly the female vocals. In case you don’t believe me, I have included the killer remix of “Bodies” here along with the live track taken from the Savoir Adore‘s Public Assembly CMJ performances. If Savoir Adore, or nearly any band for that matter, have any sense, they will enlist FHR to produce their future releases. This band is seriously the hotness. I can’t stop listening to that FHR mix. That live track is awesome. I am going to have to find more of their stuff.